Musicals come and go. The lucky ones get turned into films and are immortalised. Everyone’s heard of Oklahoma!, Anything Goes and Guys and Dolls. But what about Allegro, Nymph Errant or Greenwillow? No, us neither. Since 1989 Ian Marshall Fisher has been a one-man musical preservation industry, every year dredging up unfairly forgotten shows by the great writers of the early 20th century and labelling them the Lost Musicals. His latest project at Sadler’s Wells (Sundays until April 26) is Cole Porter and Herbert Fields’ 1930 society satire The New Yorkers. What hits you first is the minimalist approach. Smartly decked out in evening dress, the company files onto a brightly-lit stage – empty apart from a row of chairs. Each clutches a black folder containing the script. There are no props and only piano accompaniment. It’s almost like watching an early BBC radio drama recording. But the performances themselves are boisterous, especially from the remarkable Michael Roberts in a role originally taken by Jimmy Durante. There’s a negligible plot: wealthy young New York socialite falls for shady nightclub owner and ends up organising a jailbreak when he is busted. This being the Prohibition, there are plenty of jokes about alcohol and the lengths people will go to for it, including an entire song, ‘Say It With Gin’. The links between the revue-style numbers and story are sometimes tenuous, but sometimes that helps: after one particularly rowdy comedy routine, Corrie Mac steps forward and sings ‘Love for Sale’, Porter’s great, sad song about a prostitute. The effect is devastating. What’s most surprising though is how funny the show still is. Yes, some of the contemporary references are missed, but the acidic swipes at the uber-rich, the justice system, and above all lovely ‘liquor’, still have the power to raise a laugh. If something as classy as The New Yorkers can be lost, what other musical marvels might still await rediscovery? The New Yorkers plays each Sunday at 4pm until April 26. Full details here. If you only see one show this month, this should be it. Since Starsailor first burst into the mainstream in 2001, most famously declaring ‘Your daddy was an alcoholic,’ singer James Walsh’s voice has become an immediately recognisable part of the UK music scene. Now on their 4th album, returning after a considerable break, the best new band to come out of deepest, darkest Lancashire this decade are back with ‘All The Plans’, another brilliant slice of indie pop realism. Having moved record labels and inspired by all the ‘rights and wrongs’ they’ve experienced in the last few years, lead single “Tell Me It’s Not Over” showcases compelling harmonies and an emotive vocal that sizzles with passion. 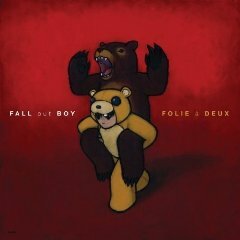 Reminiscent of Coldplay’s “The Hardest Part”, it’s just as epic and makes a strong impression as the album’s opening track. ‘All The Plans’ and the yearning ‘Boy In Waiting’ have a similarly epic quality and capture that essential festival anthem spirit with hints of Oasis creeping into James Stelfox’s bassline on the title track. Equally there’s a honesty in Walsh’s voice that makes the gorgeous ‘The Thames’ feel like a genuine insight into his broken heart. Despite sounding like it could soundtrack a Western, were it an instrumental, lyrics like ‘the birds & the bees, the leaves on the trees, die all at once, now that you’re gone’, coupled with a compelling belief that his girl will one day be back in his arms, crackle with heartbreak. 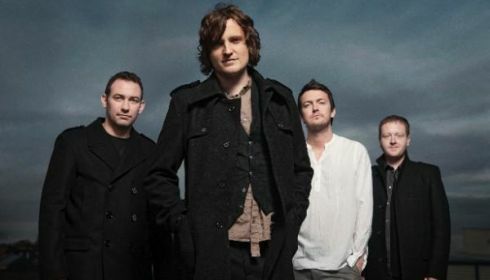 Starsailor have unfairly become a band most people sneer at but “All The Plans” has recaptured that special something that made debut album “Love Is Here” so exciting. Whether it’s too late to change people’s opinions remains to be seen, but were we not so bothered by the ‘cool’ factor, there’s no doubt the songs on this album show an anthemic return to form. When Jon McClure first bound onto the music scene, he was full of endless optimism. Originally a writer for the Arctic Monkeys, the Reverend (of Reverend and the Makers) was convinced that his left wing politics could be put to music and make a difference to the world. Sadly after just one album he became disillusioned with the music industry and formed Mongrel releasing ‘Better Than Heavy’, their debut album, for free via The Independent. Pulling together Joe Moskow from The Makers on synths, Drew from Babyshambles on guitar, London rapper Lowkey, Arctic Monkeys drummer Matt Helders and former Monkey Andy Nicholson on bass to form a grindie supergroup was presumably his attempt at a multi-skilled masterplan. Yet the mid-way position between grime and indie, the aptly name Mongrel can’t help to fail to excel in one particular field, instead falling somewhere into the middle under adequate. Sometimes, when paired with a brilliant bassline, McClure’s politics make sense. In ‘Lies’ we’re told “the whole country is full of lies, you’re all gonna die, I don’t trust you anymore” and ‘Barcode’ offers up a chilling warning of the human race being ‘a commodity, we will quantify’. Yet sometimes, his lyrics can move too far towards preaching with the listing of oppressed countries such as ‘Lebanon, Afghanistan, Bosnia, Darfur, too many to name,’ in the otherwise brilliant ‘The Menace’, sometimes being too hard to stomach for your average music fan. A good effort for sure, but ultimately ‘Better Than Heavy’ leaves us yearning for the catchy tunes and daily life descriptions that made Reverend & The Makers debut so special. We admire the message but can’t help but feel we’d rather have The Reverend back in his very own church.